Despite your best efforts your vehicle windshield cannot be completely protected from chipping and cracking. Little accidents are bound to happen even when you’re not the blame. But the faults and fractures in your windshield can be fixed through chip repair. At Advantage Auto Glass in Scarborough, we will have your windshield looking as good as new through the flawless efforts of our dedicated staff. Advantage Auto Glass specializes in windshield repair and replacements. We know how important the windshield is to retain the aerodynamic structure of a vehicle, so with careful precision and expert skill our team of mechanics will resolve any of your auto glass repairs/ replacement requirements. We work hard at the Advantage Auto Glass Repair to maintain standard results at all our outlets. We aim to thoroughly satisfy our customers through professional and expert care on every job. If our service causes the customer to be less than satisfied, we take it upon ourselves to fix that right away without additional expenses. We also offer a lifetime warranty on the workmanship of our trained staff. Stress cracks, water or air leakages after the windshield replacement at Advantage Auto Glass, Scarborough, are included in our warranty. But if these effects are a result of things like corrosion or rust, it will not be covered by our ironclad warranty. Make sure to check your insurance coverage, because only comprehensive glass coverage will require your insurance company to pay for windshield replacements/repairs. Advantage Auto Glass Toronto offers mobile auto glass repair/replacement services to customers as well. Just give us a call and we’ll be at your door step ready to fix your automobile related problems. 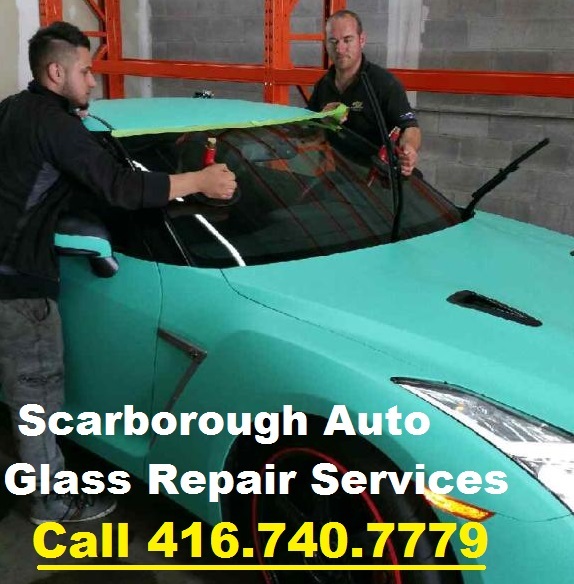 Call Advantage Auto Glass and Windshield Repair Toronto at 416.740.7779 to find out why Scarborough vehicle owners choose Advantage Auto Glass for windshield replacements and repairs.